Japan leads with mobile phone technology and usage with about 75% of the population owning a cellular device. 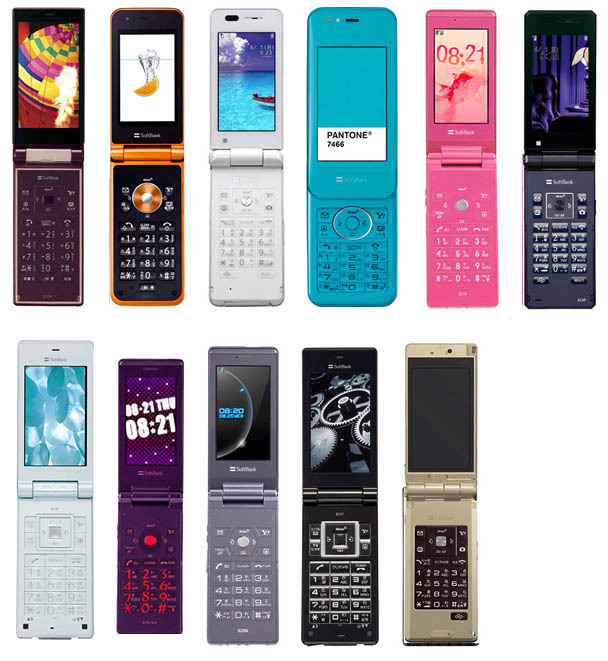 In Japanese mobile phones are called “keitai denwa” which means portable telephones. Cell phones in Japan are essentially used by everyone. The biggest mobile phone companies in Japan are NTT Docomo, au by KDDI, and Softbank (formerly Vodafone, and before that J-phone). Docomo is the most popular company with about 50 million subscribers. Au is next with about 30 million subscribers, while Softbank has about 15 million subscribers. As you can see Japan relies heavily on cellular communication. Cellular coverage is exceptional in Japan because cellular “cells” cover nearly every square inch of urban Japan and you can find service in areas you wouldn’t expect such as tunnels, subways and underground railways. Japanese phones are unique in the way that they can read 2D barcodes known as QR codes. The phone handset can scan the barcode using its camera or other input, decode the information, and then take actions based on the type of content. The most popular usage of these QR codes is in advertising. All over Japan there are posters with the codes on and they are found extensively in magazines and even on some people’s business cards. The QR code usually has links to a web site address or email address that the phone can access, or it might contain address and telephone numbers. Japanese cell phones are more technologically advanced and versatile than their American or European counterparts and as a result, are utilized in aspects that most cellphone users in the Western Hemisphere would only expect in Sci-Fi movies. Not only are they super lightweight and capable of displaying full color images on their LCD screens, but many offer built-in cameras for sending on the fly snap shots or even videos to your friends. Also, while web commerce has not yet caught on in North America, Japan has simplified the process to the extent that all one has to do is surf to one of the many e-commerce stores that are readily accessible, push a few buttons and the item will arrive at the consumers pre-selected destination of choice. The phone company keeps track of purchases and simply adds them to customers’ monthly bills. You can also download a wide array of games, can also check your e-mail, buy concert tickets and join an online dating service with your handset. Simplicity and a wide selection of products and services have helped account for making the mobile phone Japan’s most popular way of accessing the Web. Which is crazy to me that people prefer searching the web with their phone opposed to using a computer but maybe it’s because they like that instant access to the internet. In Japan there are so many phones to choose from. Phones are so important there that not only is a cell phone a necessity in terms of communication and convenience but it is also an object of status. I just can’t wait for the day when some of Japan’s leading cell phone technology comes to the states.